As a couple who have spent in excess of 30 combined years living in Perth, we are certainly in a comfortable position to help visitors make the most of their time. A lot of people don’t include Perth and Western Australia in their Australian itinerary, and we can somewhat understand that due to the distance and cost of getting there. After all, it is one of the most isolated cities in the world. For those who can make the time to visit, we can guarantee you won’t regret it. 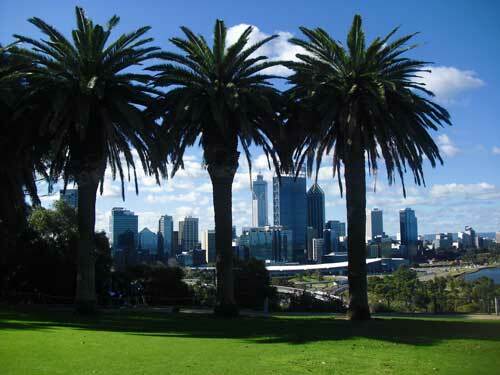 Perth is one of the world’s most liveable cities and boasts an excellent climate. Compared to the experiences on offer in the rest of Australia’s capital cities, Perth is more akin to Brisbane than Melbourne or Sydney. And this certainly isn’t a bad thing. So expect a laid back time, some of the greatest things to do in Perth require time and minimal effort. Perth lies on the Swan River and has undergone a much needed revitalisation recently. A redeveloped foreshore and an increase in the numbers of cafes and bars means the city is more alive than ever before. And it is continuing to become less of a ‘big country town’ and develop into a vibrant city. 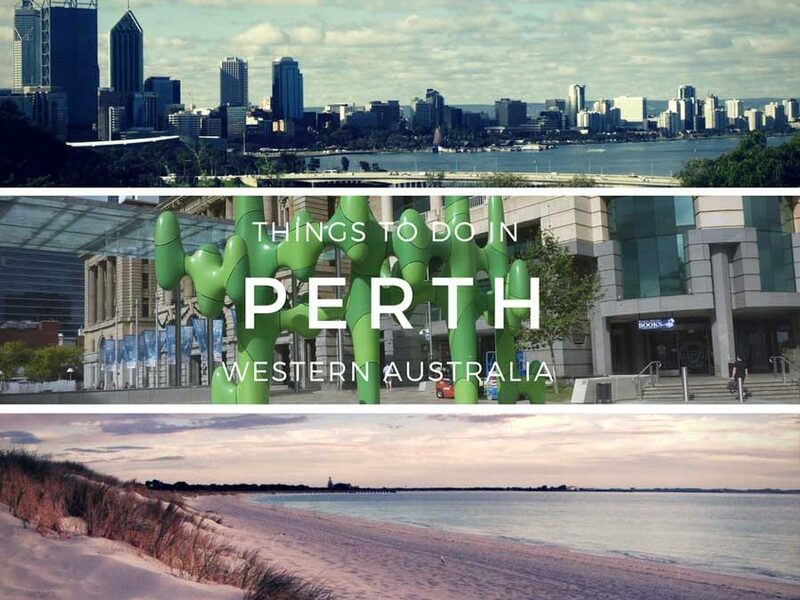 We’ve prepared a list of the best things to do in and around the Perth metropolitan area, a comprehensive list prepared by locals! Kings Park has a stunning location overlooking the Swan River and offers sweeping views of the Perth city skyline and back to the Darling Range. The park covers more than 400 hectares and is the largest inner city park in the southern hemisphere, even larger than New York’s Central Park. Walk amongst the tree tops on the elevated bridge, or wander the pathways through the botanical gardens. Or prepare a picnic with the family on the grassy areas and let the kids enjoy the playgrounds and open space. Overlooking Perth city is the Botanical Cafe and for those looking for a fine dining experience, Fraser’s Restaurant, but be prepared for the bill. The waterfront along the Swan River provides some amazing scenery during both the day and night. Enjoy a picnic on the southern foreshore or enjoy a beer in one of the waterfront pubs on the northern side. Whichever side you start on, cross via the ferry which runs every 10-15 minutes or walk across the Narrows Bridge which will take you about half an hour. Make sure you stay until the evening, when the lights of Perth come on (usually after a picture perfect sunset) it is a spectacular sight. Make sure you wander along both sides to take in the contrasting views. And while you’re there, get out on the Swan River. Kayaks, Stand Up Paddle Boards and Catamarans can be hired from Funcats Watersports and make for a great few hours of fun. We have done this a number of times over the years and it’s always enjoyable. Located just under 20km off the Perth coastline, Rottnest Island is an ideal getaway where you’ll have no trouble relaxing. With so many beautiful beachfront locations, you will want to come here for at least a day! Take the short ferry trip over, we recommend departing from the Barrack Street Jetty in the centre of Perth so you get a free Swan River cruise included in the price. Firstly, the island is best explored by bicycle, as there are no private cars on the island. Having a bike will also make it much easier to get around the island, the more quiet and private beaches are on the far side of the island, which is a little too far to walk. There are also plenty of amazing reefs, so you’ll want to have packed your snorkelling gear. Rottnest Island is also home to one of Australia’s cutest animals, the Quokka. They’re friendly and very photogenic. There are plenty of other activities to keep you occupied on the island, so please read our in depth article here. 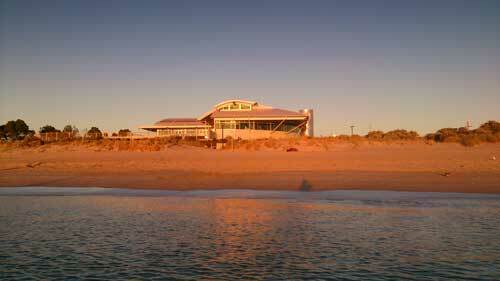 One of Perth’s most popular beaches, about 15 minutes from Perth CBD. The beach attracts huge crowds over the summer months, which is not so great for those who enjoy a bit of privacy but it has all the offerings. A great selection of pubs and cafes are within a short walk too. In March, the annual Sculpture by the Sea outdoor exhibition turns the beach into an outdoor art gallery. The exhibition is free, so if you’re in town make sure you check it out. The waves here can get up to 2 metres, great for surfers but not ideal for those with a young family. 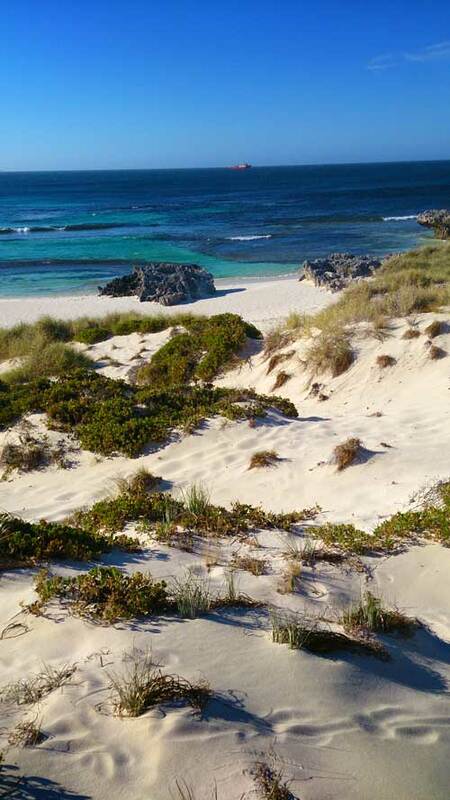 Scarborough Beach offers much the same as Cottesloe but is about a 25 minute drive north of Perth. It does have some great facilities nearby and better surfing conditions if that is more your style. There are also surf schools nearby where you can spend a few hours learning the skills to master the waves. This is probably our favourite beach in the Perth metropolitan area. 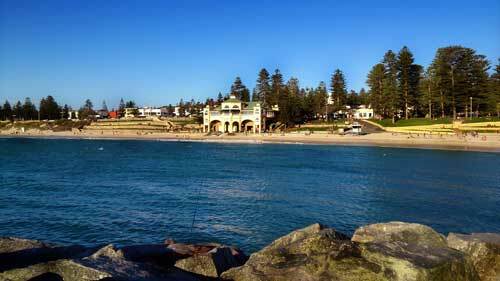 About a 25 minute drive south of the CBD, Coogee has very little surf and is much quieter than many other Perth beaches. It is ideal for families and the surf club has a great cafe and pub where you can watch the sunset over the Indian Ocean. Fremantle is one of the original settlements in Perth and is almost a city of it’s own. 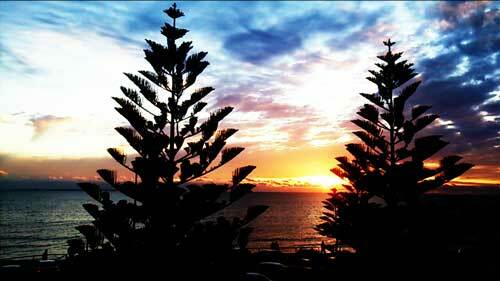 Located about a 20 minute drive from Perth city, it is easily accessible by public transport too. 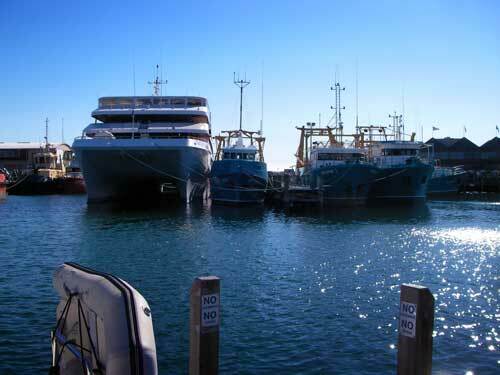 Fremantle is a great mix of everything, from white sand beaches to bars and nightclubs, it has something for everyone. There are a handful of things to head to Fremantle for but you can easily spend a few days here! For a meal, we would recommend trying Little Creatures Brewery or Cicerello’s located on the boardwalk overlooking the water. Little Creatures offer local produce and beers, while Ciccerello’s is home to some excellent seafood. Both are somewhat expensive, so be prepared. For those interested in local history, the Fremantle Prison is still standing today and sits on some prime real estate not too far from the centre. There are a variety of tours exploring the prison but the Prison Tunnel Tour would be our recommendation, although you have to be reasonably fit to complete it. Wander around Fremantle and I’m sure you will find something that takes your fancy. Try to find the markets hidden along the main street to find locals selling everything from handmade goods to fruit & veg to massages. Hillary’s is a more recent addition to Perth’s metropolitan area, about a 25 minute drive north of Perth. It is loaded with entertaining ways to enjoy yourself whether you are travelling alone or with your family. The nearby marina has an overwater boardwalk with an excellent selection of cafes and bars where you can enjoy the view and sound of the waves. We love to enjoy a mid afternoon ice cream here and then head to the Breakwater for a drink and an early dinner while watching the waves and sunset. Australians in general love our sport. Western Australia is no exception and have teams in a variety of national sports that play year round. And the teams are passionately supported, making game day a great day out. Most popular, and unique to Australia is the AFL, best described as a hybrid between rugby and football.. WA is home to two teams (Fremantle and West Coast) who play out of Burswood (a 5 minute drive from Perth) and have about 35,000 fans at home games. If the sport of AFL is too foreign to you, Perth is home to the Western Force (rugby) and Perth Glory (football). Both teams draw a decent crowd and have a great atmosphere, whilst playing close to the centre of Perth. The Perth Wildcats (basketball) are one of Western Australia’s most successful sporting teams and their games are always entertaining. Perth also plays host to the Hopman Cup (tennis) in January each year. 8 mixed teams from around the world come to Perth to play in the tournament. If you don’t have the time to visit Margaret River in WA’s south west (it is highly recommended) then heading out to the Swan Valley is the next best alternative. Whilst Margaret River is a 3hr drive from the city, the Swan Valley is only a half hour trip, or alternatively, there are daily wine tours so no one has to miss out and drive. There are plenty of great wineries here where you can sample wines, craft beers and even cheese or chocolate at the various businesses in the area. There are some excellent tours that will take you through the valley, starting from $120pp including lunch. We have previously tried the 5 hour afternoon tour with Swan Valley Tours ($140pp) and we stopped at a few wineries, a craft brewery and a visit to the Margaret River Chocolate Factory (in the Swan Valley fyi) which wasn’t bad value. Lancaster Winery, conveniently opposite the Margaret River Chocolate Factory. Of course, there are many more options in the area, in particular a few German breweries if that interests you. Just be prepared that once the samples are gone, additional drinks are Australian prices. Join us to get inspired!